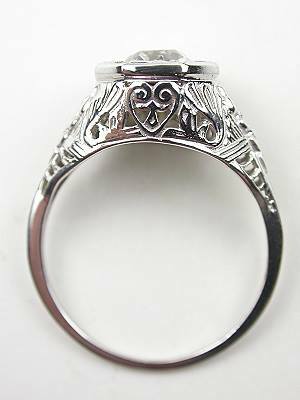 An old mine cut diamond glitters in a filigree mounting of hearts and flowers in this irresistible antique engagement ring. 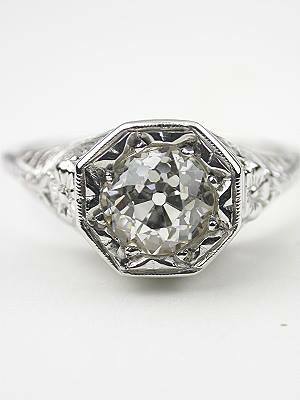 Romance abounds in this antique engagement ring's 14k white gold band. 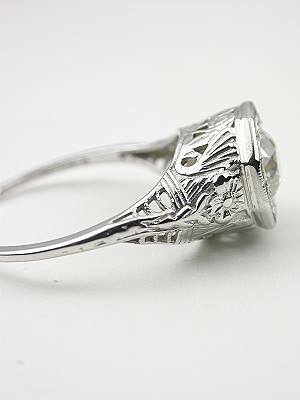 Delicate flowers bloom from the shoulders while playful hearts are pierced along the shank. 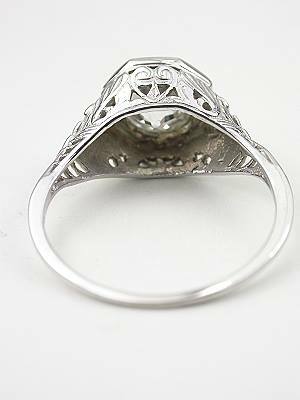 A unique octagonal top setting cradles an old mine cut diamond This old cut diamond is I in color and VS2 in clarity. 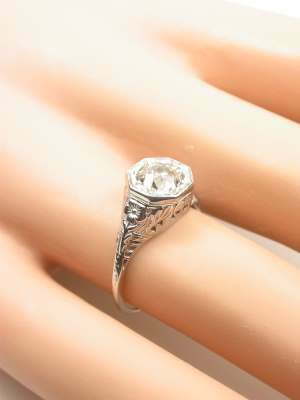 It is EGL certified and weighs 0.93 carats. Circa 1920. 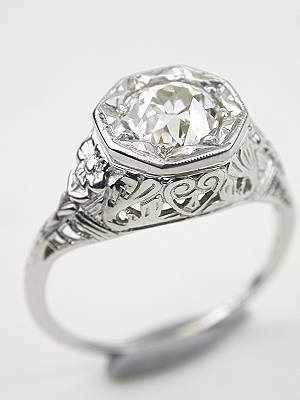 Special characteristics This 1920s filigree engagement ring features a 18k white gold mounting with floral design. 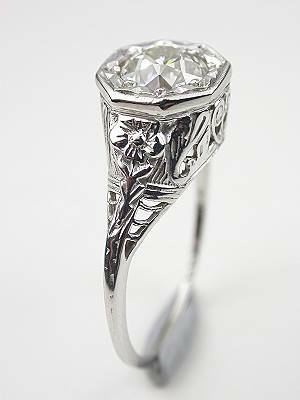 Diamond other info Your purchase includes EGL USA Diamond Certificate #US84364702D.